Even after years of success, Mr. Li not placid and works towards the development of the company in a proactive and cohesive manner. His endeavours are indeed evident from the boost of the Tianrui brand and business. He is married and resides in Ruzhou of China. Li Liufa, who is truly revered as an industrial tycoon started a modest career, but showed the world how to stay resilient in life, ultimately with some modest interest of work and today is among the most successful Asian businessmen. Li Liufa & family of the Tianrui Group has a net worth estimate of $2.1 billion, being ranked as the 894th richest person of the world. Li Liufa started working in one of the fertilizer factory in Henan Province during the end of the 1970s. However, working under someone was not his goal and after gathering some experience, he opened his own factory for steel casting. In 2006, he earned an executive MBA degree from Peking University. With this modest start of entrepreneurship, Li Liufa privately started Tianrui Group. This company proved to be more of an amalgamation of interests in steel, aluminium, tourism, cement and mineral industry. 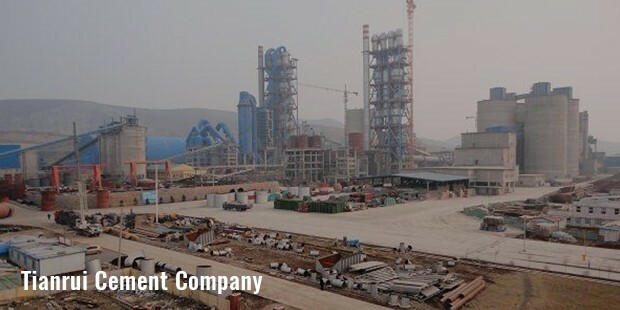 Founded in 1993, Tianrui Cement is building up from its small foundry to a national name by 2015 through its wise acquisitions. Tianrui has the plan to build a 12,000-ton cement production line in the Xingyang area of Henan province. It would be then the largest one in China.Apart from serving as the Managing Director of Tian Rui Group, Mr. Li Liufa has a number of accolades under his collar. 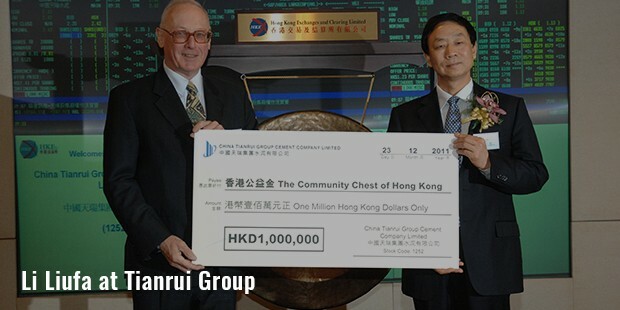 He is the founder of China Tianrui Group Cement Company Limited where he is appointed as the Chairman of the company. 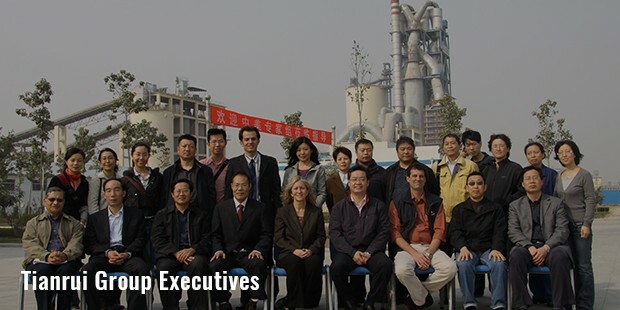 His role there is to primarily look after the overall strategic planning along with the management of the China Tianrui Group Cement Company Limited’s business. With his extensive knowledge and experience about the cement industry, Mr. Li's advises works as magic for the new entrepreneurs. He received the prestigious award for Modal Worker of Henan Province in two years - 1999 and 2002. He has elected as the member of the 10th National People’s Congress of the People’s Republic of China in 2003. He also received the Henan Provincial People’s Government's “Star Entrepreneur” award. Apart from all these, Mr. Li is a senior economist and is one of the most inspirational characters for the modern day entrepreneurs. Non-Executive Chairman of Sanmenxia Tianyuan Aluminum Co. Ltd. is honoured to have him since March 10, 2006. 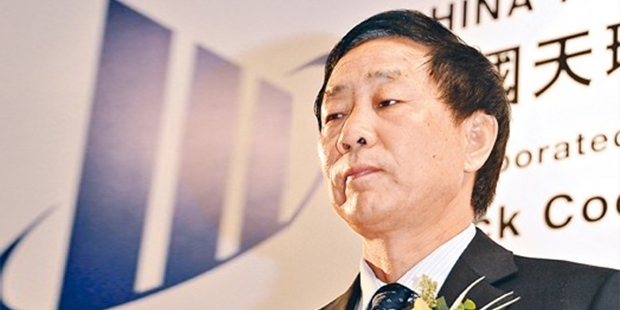 China Tianrui Group Cement Company Limited named him as their Non-Executive Director since July 2, 2011. 2013 was marked a remarkably profitable year for the company and topped with $1.7 billion of revenue. Li Xuanyu, son of Li Liufa shares the ownership. China's railway ministry is one of their customers.Cementchina.net is owned up to 39.6% by its chairman, Li Liufa and Li Xuanyu, his son, while the rest of it is owned by Tang Ming Chien, KKR and JPMorgan. How Long does It Take for a Complete Personal Development?